As you might have guessed i am a huge Marilyn fan. 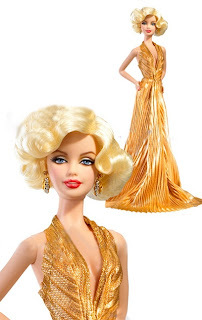 I have made many dresses inspired by her, the cherry dress and the how to marry a millionaire are a few i have blogged about. I have always lover her iconic gold dress. Last Christmas i got invited to my other halfs work Christmas party. 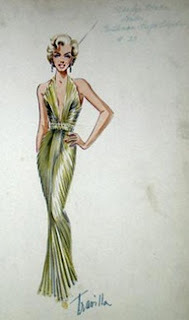 It was a black tie do, what an excuse if there ever was one to make a new extravagant frock! 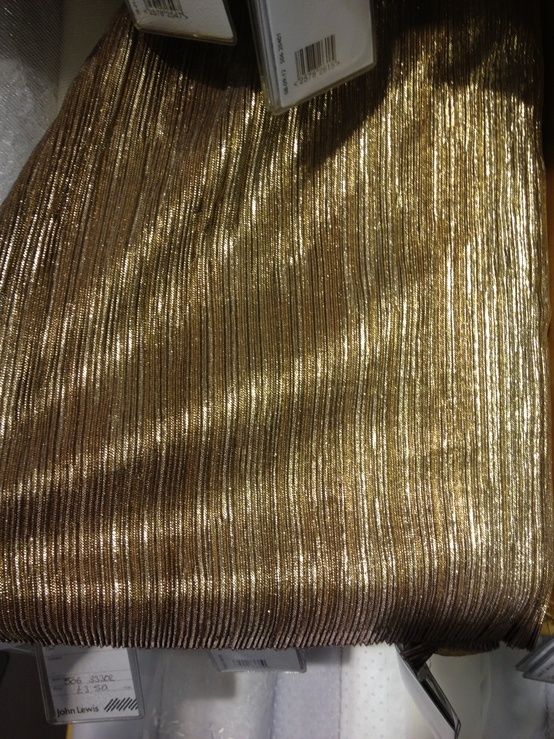 I spotted some gold slinky pleated fabric in John Lewis a while back. It was rather pricey at £18pm, but i was able to make the dress out of just 3meters! 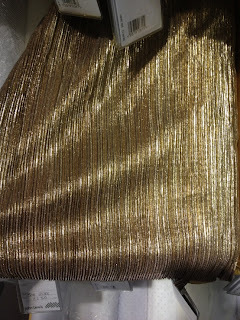 The fabric draped beautifully, i couldn't help but drape it round me like a toga and prance around the house. It was however slightly difficult to sew. I don't know what it was, but pins wouldn't go through it and i kept breaking needles on my machine. My machine kept skipping stitches. It was not nice to sew. But my overlocker didn't seem to have a problem, which made sewing the skirt easy. The lovely Lucille from Lucille's Locks came over to do my hair. We did a bit of swapsies, i made her a skirt, in return she did my hair for the evening. You can see more of my hair do on her blog. Wow, that's one beautiful dress! You are one super talented lady! That is a seriously gorgeous dress...wish I had your seamstress skills!!! 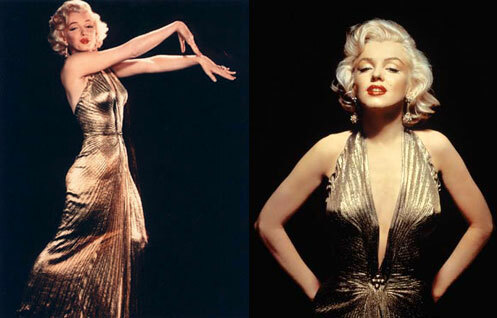 I am always so impressed at your dressmaking skills, I am also obsessed with Marilyn so this is the perfect dress in my eyes. Gorgeous! Guest Post - It's a bit nippy!